Celebrate the holidays with the most unique shopping experience of the season. 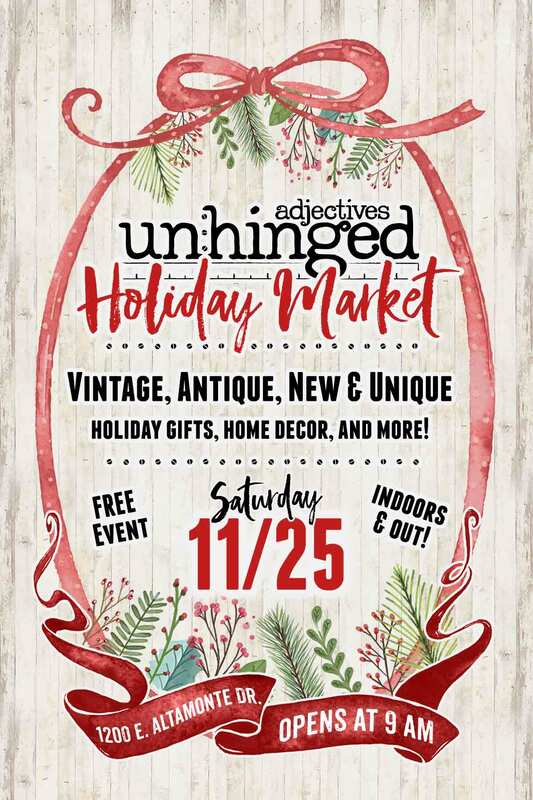 We’re celebrating BIG this holiday season and going outside for this one-day-only INDOOR and OUTDOOR holiday market at the Adjectives Megastore in Altamonte Springs. Sleep in Friday and skip Black Friday shopping at the big box stores. On the Saturday after Thanksgiving (11/25/17), join the members of Adjectives and many more local artisans for this holiday shopping celebration! Get ready to discover original artists, vintage and handmade furniture, antiques, clothing, jewelry, handmade treasures, home décor, outdoor furnishings, tasty treats, garden decor, holiday décor and a little more! We’ll open at 9 am on Market Day for this FREE public event. 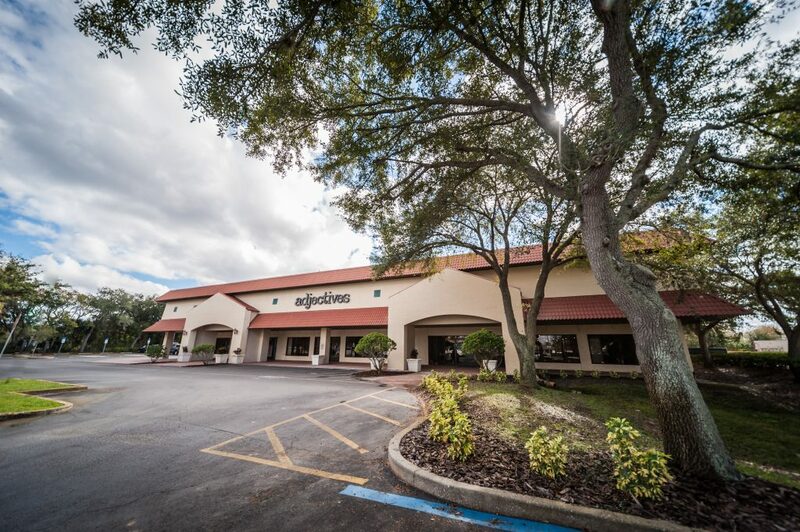 The Adjectives Megastore store is located at 1200 E. Altamonte Drive in Altamonte Springs on Route 436. You can’t miss the HUGE sign that reads, “Vintage. Antiques. Furniture.” We’ve recently taken over the entire plaza, building over 60 custom designed living spaces in this 40,000 square foot megastore! Now we’re blowing off the hinges and opening our parking lot to even more local artisans and creators, and we know you’ll love them all! Adjectives is more than just a home decor store. It’s a destination. An adventure. At every turn, you’ll discover something new or old. Let your inspiration run wild as you wander through the maze of indoor and outdoor boutiques curated by individual local artisans at this one day only holiday event. Are you a local artisan? We’re taking our upscale vintage-inspired home decor market outside and we’d love for you to join us. We’re looking to feature original artists, vintage and handmade furniture, antiques, clothing, jewelry, handmade treasures, home décor, outdoor furnishings, tasty treats, garden decor and a little more. This is a unique opportunity for you to showcase your talents and your creative passions at an exciting local marketplace! To learn more about how to become a vendor at The Unhinged Market click the button below. We’re so excited to share this amazing day with you, our creative community. Bring your friends, bring your family and join us for this inspirational indoor and outdoor market day. For the latest updates and to RSVP, visit our Facebook Event page here.